Most people who travel to Mexico have a wonderful time and don't encounter any problems. However, as in other tourist destinations throughout the world, crime is a fact of life, and as a tourist, you may be targeted for theft and scams. The best prevention is awareness of the situation and the risks you may face. In order to increase your chances of having a safe and pleasant vacation, follow these tips for Mexico travel safety. Research your destination. 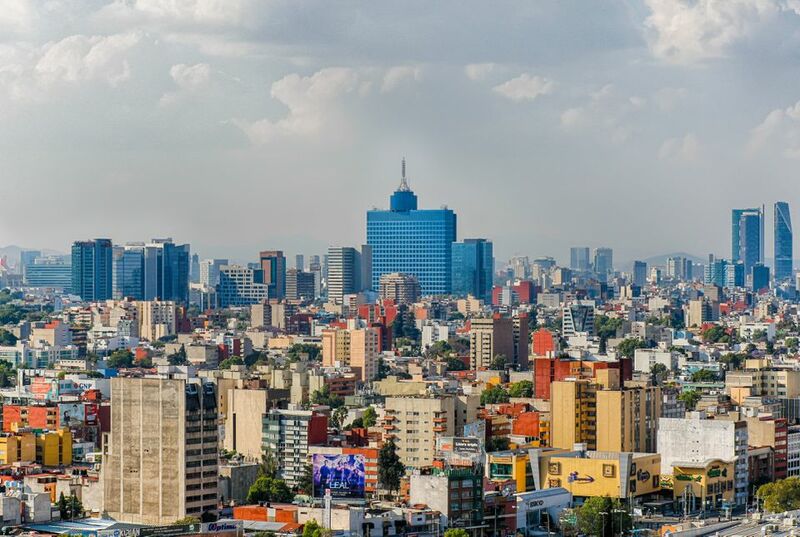 The US State Department's Web site has information about Mexico as well as current warnings and public announcements regarding safety issues for travelers. As you're packing, think twice about taking valuables with you. If they're not essential, they're probably better off left at home. This will also make for lighter bags, allowing you greater ease of movement which can deter potential thieves. Scan your passport and travel documents and e-mail them to yourself. That way, if your documents are lost or stolen you can easily access copies from your e-mail account. Take your bank or credit card's international telephone number with you (the 1-800 numbers used in the United States don't work in Mexico). Your credit card should have a phone number printed on the back that you can call collect from anywhere in the world. Be sure to write that number down separately so you'll have it even if you lose your credit card. Leave a copy of your itinerary with someone at home, but don't share details of your travel plans with other people you meet while traveling. Credit or debit cards are the most convenient way to access your money while traveling, but losing your card (or having it swallowed by a cash machine) can be a great inconvenience, so have a backup plan: take some cash to exchange (and for tips), just in case. Blend in as much as possible. Walking around with a camera around your neck and a guidebook in your hand advertises your tourist status and may make you a mark for thieves. Try to be discreet. Choose ATMs in malls or stores if possible. Avoid using ATMs at night or in deserted places. When you withdraw money from an ATM, put it away immediately. Carry only the cash you need for the moment in your pocket or purse. Carry your passport, credit card and extra money inside your clothes in a money-belt, or leave them in your hotel's safe. When you need to get something out of your money belt, do it in a private place. Exercise particular caution when in crowds, markets or on public transportation. Pickpockets can be very crafty and sometimes work in pairs - one person will distract you while another takes your wallet. Ask your hotel manager or another knowledgeable person if there are some areas of the city you should avoid. A vital part of staying safe is keeping your wits about you, so be cautious about drinking too much alcohol, and avoid recreational drugs, which, despite what you may have heard, are illegal in Mexico. In Mexico City, you should avoid hailing cabs in the street. Ask your hotel to call a cab for you. They will take note of the number of the taxi and the driver's name. At the airport and bus stations in Mexico City and other major cities, there are official taxis (Taxis Autorizados) that you should take. In any destination, you can take an extra measure of precaution when taking taxis by taking note of the name of the taxi site and number - or take a photo of the side of the cab before you get in - and send the information to a friend or family member. Travelers have had their credit or debit card numbers skimmed and the money in their debit accounts stolen or their credit cards fraudulently charged. Skimming is the theft of credit card information by an employee of a legitimate merchant or bank, manually copying down numbers or using a magnetic stripe reader or using a camera and skimmer installed in an ATM. In addition to skimming, the risk of physical theft of credit or debit cards also exists. Try to use ATMs in bank branches during business hours to reduce these threats, and keep an eye on your bank statements so you can notify your bank immediately of any unknown charges. Police and military have legitimate checkpoints set up on roads and highways, in many cases to combat organized crime, however, there have been cases of criminal groups setting up false checkpoints. The official recommendation is that, when approaching a checkpoint, regardless of whether it is official or not, you should cooperate and avoid any actions that may be perceived to be suspicious or aggressive. While actual kidnapping remains a threat, the number of incidents seems to have decreased over the past few years. Many of these are “express kidnappings” in which a person is captured and held for 24 to 48 hours so that the criminals may withdraw cash from their debit or credit cards, maximizing the withdrawal limits imposed by banking institutions. There has been an uptick in “virtual kidnappings” which is when a criminal places a call to a friend or family member claiming to have a loved one in their custody. On the call, one can often hear crying or pleading In the background. The callers will attempt to confuse the victim and trick them into giving away important information, which they may then use against them. Reduce the likelihood of being a victim of this type of scam by answering the phone with only a salutation and make sure the other person asks for you by name. Never provide personal information to someone who calls or approaches you. Also, avoid posting personal information on social networking sites. Some areas of Mexico have experienced a greater incidence of crime than others. This is mainly due to the activities of organized criminal organizations and drug cartels. It is important to keep in mind that something bad can happen to you anywhere, and you may have a wonderful experience in places that have high crime rates, however, knowing which places have higher crime rates can help you make an informed decision about where to go. Here are the recommendations from the U.S. and Canadian governments about areas to avoid or where you should exercise special caution. In the March 2018 Mexico Travel Advisory, The United States Department of State advises avoiding travel to the following five Mexican states: Colima, Guerrero, Michoacán, Sinaloa, and Tamaulipas. They also recommend that travelers carefully consider the risks of travel to the following states: Chihuahua, Coahuila, Durango, Estado de México, Jalisco (except for Guadalajara, Puerto Vallarta, Chapala, and Ajijic), Morelos, Nayarit (except for Riviera Nayarit including Nuevo Vallarta and Bahia de Banderas, Santa Maria del Oro and Xalisco), Nuevo Leon, San Luis Potosí, Sonora, Zacatecas. The Canadian government advises that travelers to Mexico avoid non-essential travel to the northern states of Chihuahua, Coahuila (except the city of Saltillo),.Durango, Nuevo León (except the city of Monterrey), Sinaloa (except the city of Mazatlán), Sonora (except the cities of Hermosillo and Guaymas/San Carlos) and Tamaulipas, as well as the western states of Guerrero (including Acapulco but excluding the cities of Ixtapa/Zihuatanejo and Taxco), Michoacán (excluding the city of Morelia), and Colima (excluding the city of Manzanillo). Mexico's "dry law" is in effect in some areas during election time.